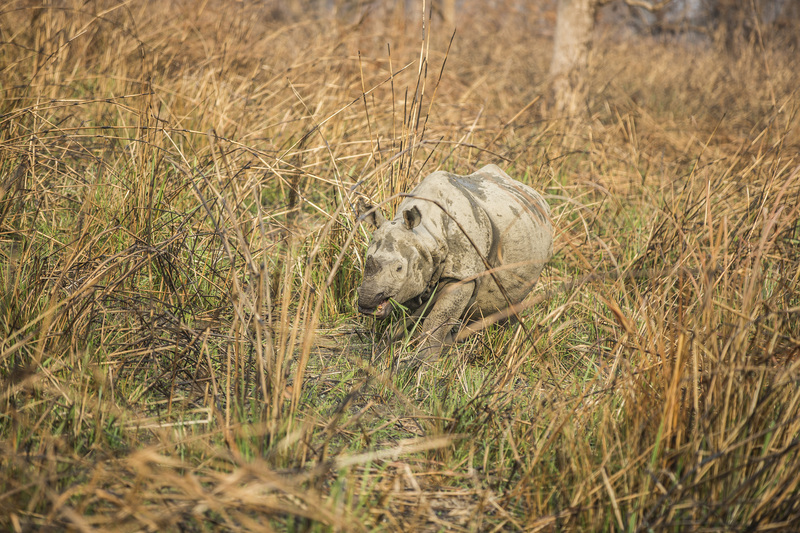 A Greater one-horned rhino found a new home in Bardia National Park through a successful translocation expedition from Chitwan National Park. 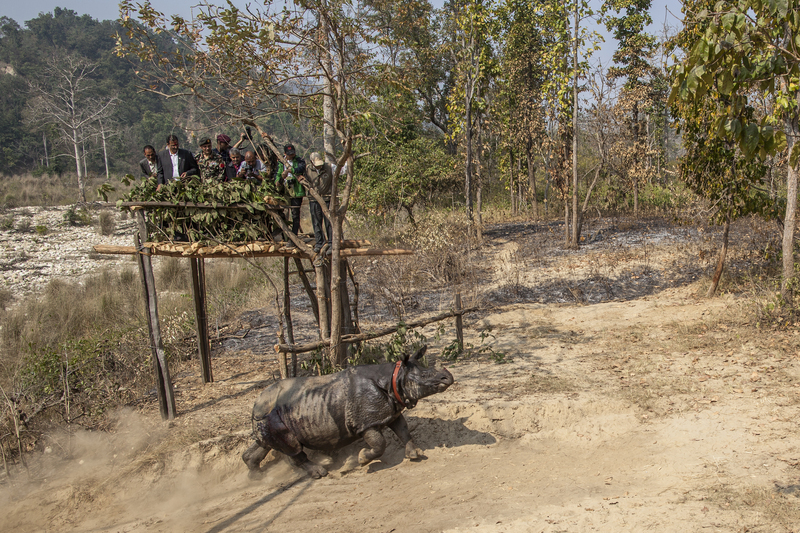 Kathmandu, Nepal – A Greater one-horned rhino found a new home in Bardia National Park through a successful translocation expedition from Chitwan National Park in Nepal’s Terai Arc Landscape (TAL) today. 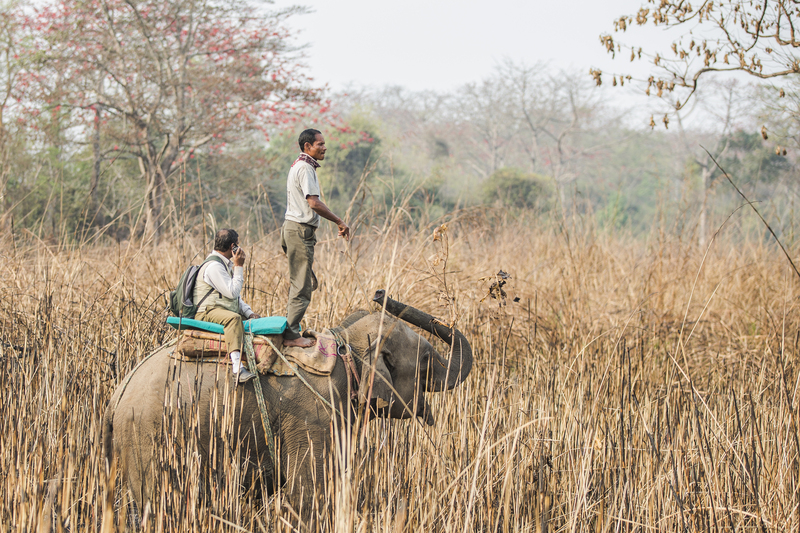 In the coming days, four additional rhinos will make this trek, all part of a larger effort to move 30 rhinos to Bardia National Park (25 rhinos) and Shuklaphanta Wildlife Reserve (5 rhinos) through 2018. 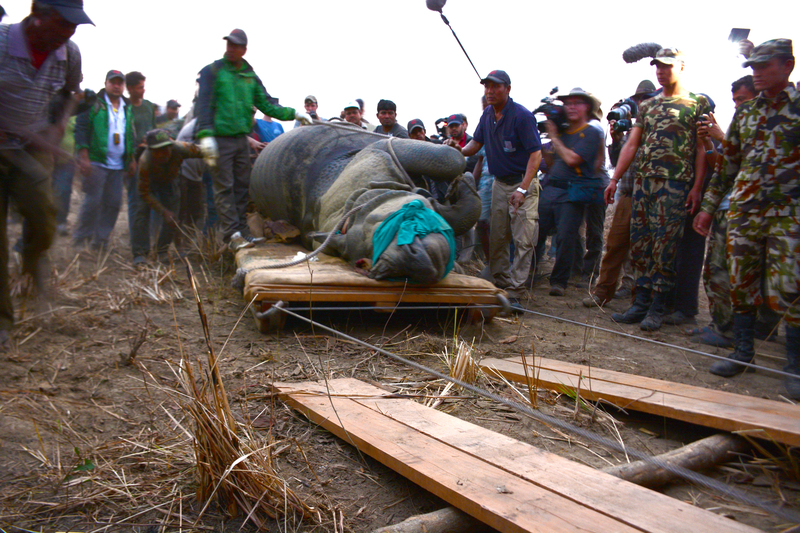 The rhino, an adult male, was first tracked and sedated in Chitwan National Park on 1 March. 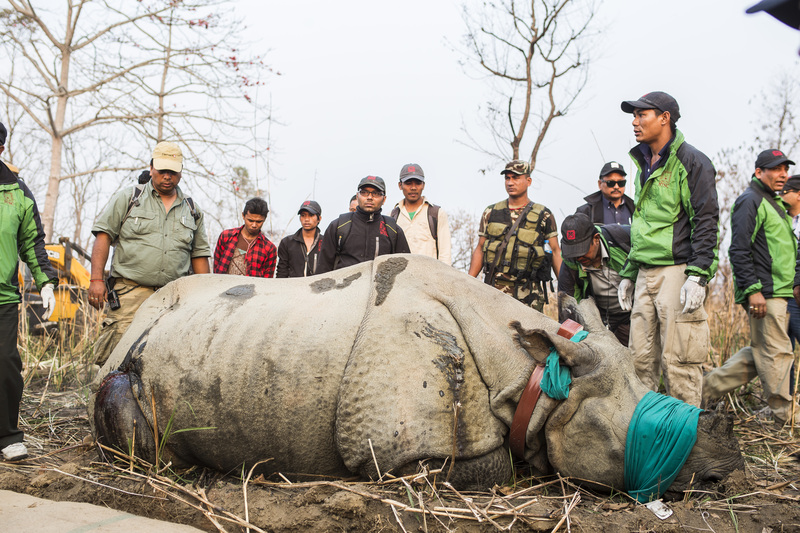 It was then fitted with a satellite collar and loaded on to a specially designed truck to transport it safely to the fertile Babai Valley in Bardia National Park where it was released on 2 March. 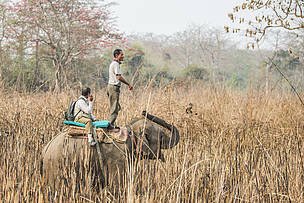 The translocation, which involved the use of 33 elephants and a team of about 250 people, was led by the government’s Ministry of Forests and Soil Conservation with the support of WWF Nepal, National Trust for Nature Conservation, Nepal Army and local communities. The translocation was funded by WWF’s AREAS Program, WWF US, USAID and US Fish and Wildlife Service. 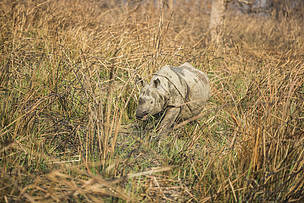 On 1 March, a scout team heads out to a location in Chitwan National Park to identify a rhino for the translocation. The identified rhino for the translocation is an adult male about 12 years of age. Once sedated, the rhino is fitted with a satellite collar to track movements of the animal in its new habitat in Bardia. The rhino is loaded on a specially designed truck in which it will take its journey from Chitwan National Park to Bardia National Park. 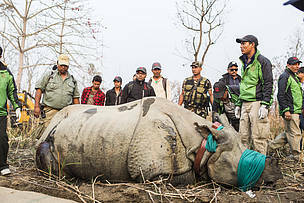 Five rhinos will be translocated in 2016 to contribute to the overall target of translocating 30 rhinos from Chitwan National Park by the end of 2018.